The report “can only jeopardize the pursuit of peace and stability,” South Sudan representatives said. A new report claiming that South Sudan’s leaders have exploited the country’s ongoing civil violence has been criticized by the country’s government. It comes as the world’s youngest nations stands on the brink of a renewed civil war. The 66 page report, “War Crimes Shouldn’t Pay” was published Saturday by Sentry, a U.S.-based watchdog co-founded by Hollywood actor George Clooney and details how leaders plundered the country and stripped the country of money. “We will make sure that each of those allegations are challenged with a counter forensic and legal analysis of the shortcomings of this report,” Ateny said. A local South Sudan newspaper said it was shut down by the government after it ran the report on its front page. 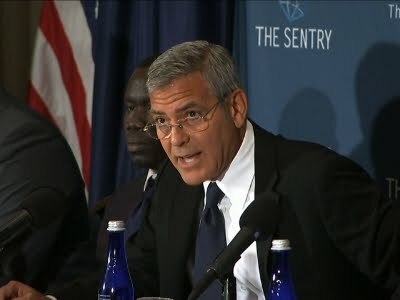 Sentry made special mention of President Kiir and his family as well as former Vice President Riek Machar and other close government associates who partook in corrupt practices such as fraud, insider trading, and suspect transactions. The money that the South Sudan elites were able to obtain was then hidden in various international ventures including resource companies, banks, real estate and luxury cars, according to Sentry. South Sudan is the world’s youngest nation, having just gained independence from Sudan in 2011. A civil war then erupted in 2013 after Kiir sacked Machar as his vice president for allegedly plotting against him. Instances of violence have recently been rising, and many believe the country is on the edge of returning to civil war. Tens of thousands have people are estimated to have been killed in the ongoing violence which is largely bases along ethnic associations. People fleeing the violence has reached one million according to the most recent estimates by the United Nations Refugee Agency. International organizations are also concerned about massive number of child soldiers that have been recruited in the country. The U.S. has welcomed the Sentry report saying that it supported the South Sudanese people. “The Department of State is pursuing measures it can take to deter corruption by South Sudanese officials,” the department said in a press statement Wednesday.